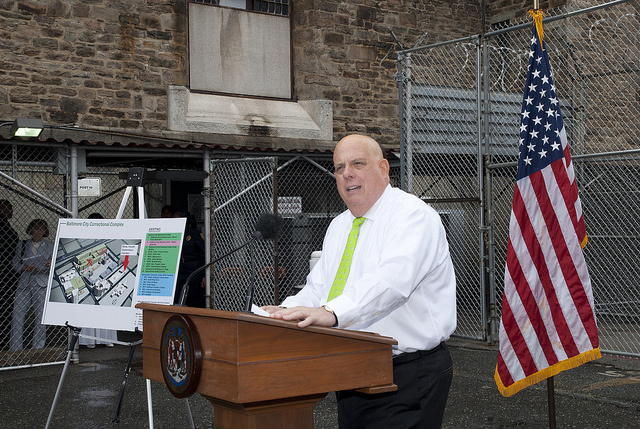 Rates of incarceration have risen dramatically since 1980, both nationally and in Maryland. As the number of incarcerated adults increases, so do the number of children and families impacted by the effects. It is estimated that on any given day, approximately 90,000 children in Maryland have a parent under some form of correctional supervision – parole, probation, jail or prison. Many of those families and children reside in Baltimore City, which represents one-third of the prison population in the State. Communities with high rates of incarceration also have high unemployment, low incomes, high rates of public assistance participation, low educational attainment, high rates of student drop outs, and lower life expectancy. In Baltimore City, three-quarters of the incarcerated residents come from 25 communities where 47% of the residents are unemployed, 17% are on public assistance, 26% did not complete high school, and 14% of the houses in these 25 communities are vacant or abandoned. The impact of incarceration on children and families includes family instability, higher rates of child welfare involvement, and post-traumatic effects such as hypervigilance, feelings of despair and powerlessness, and poor academic outcomes. The goal of reducing the impact of incarceration requires focusing on proven strategies for improving economic stability and future economic success for the children and families of the incarcerated. Finally, incarceration overall costs Maryland taxpayers approximately $38,000 per inmate annually, 19% higher than other states in the nation. Approximately $300 million each year is spent on incarcerating people from Baltimore City alone, including $17 million per year for the inmates from Sandtown-Winchester. While recidivism for the State’s inmate population has dropped, 40.5% of these individuals will return to prison within three (3) years. The impact of incarceration on children, families, and communities remains an understudied and underserved area of State policy and government services. There are few programs that directly serve the needs of children and families when one or both parents are incarcerated. However, the Children’s Cabinet Agencies have identified ways to better support this particularly vulnerable population, and the Governor’s Office for Children will be working with Local Management Boards and stakeholders across the State to develop effective local interventions as well. For additional information on the identified gaps, and the next steps in improving Maryland’s support structure for children with incarcerated parents, please refer to the Children’s Cabinet Strategic Direction and Implementation Plan.